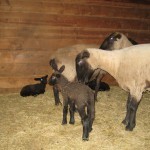 Once I got everyone in the barn settled and made arrangements for the ram to remain in solitary confinement. 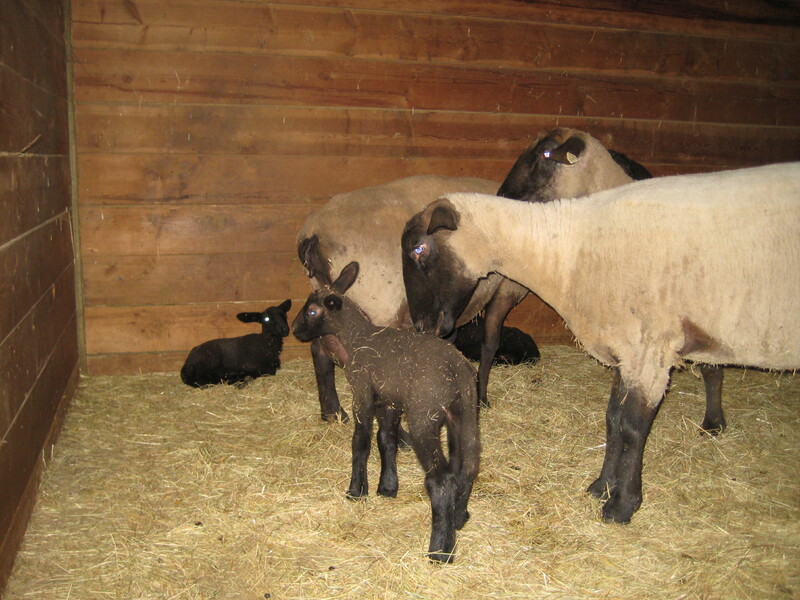 I came back to the stall with Sprite, Star and the three new lambs. All seemed to be a little more relaxed. So I wonder who belongs to who? I watched for a while and noticed that two were nursing off of Sprite. So this means the one remaining must belong to Star and the dead one was probably the other one of Star’s. Poor Star, she lost a lamb last year to a coyote. She’s a fighter though and how interesting it was that Star was fighting with Ellen as Sprite watched over the babies, one of which wasn’t even hers. So a few hours later I returned to the barn to check on the new babies again. This time there were two babies nursing of off Star. Wait a minute, was that Star or Sprit this morning with both lambs. Holy haleakela – the sheep are job sharing. I stuck around for a while now and actually witnessed all three babies nursing on both mothers. Sprite and Star have become job sharing sheep. This entry was posted in ...are we farming yet? by admin. Bookmark the permalink.